New PANASONIC products are now available at TME. These products are fans with a wide variety of industrial applications. These fans support the following supply voltages: 12V DC, 24V DC, 115V AC, and 230V AC. Fans are available in various sizes, ranging from 60x60mm to 150x172mm, and have different frame thicknesses. The ASFN models are made of plastic and are equipped with fan blocking protection. The ASEN models have frames made of cast aluminium, which by itself prolongs their service life and increases their durability. The ASFN and ASEN fans are characterised by their versatility, excellent workmanship quality, long service life, and quiet operation. 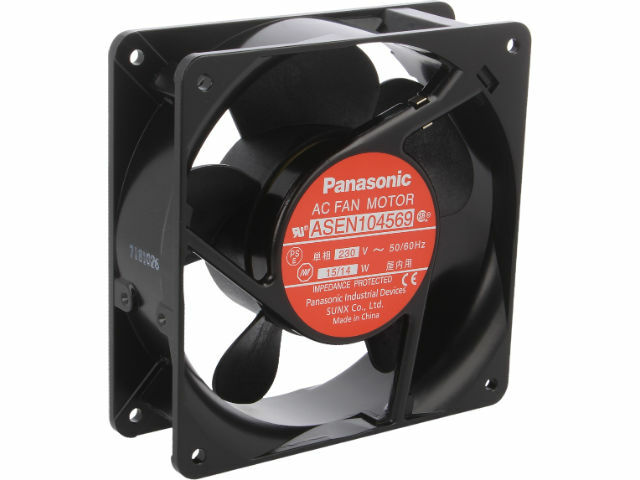 Check out the range of fans from PANASONIC available at TME.